This article discusses the effectiveness of biological treatment of wastewater at MUP Vyksa District “Stoki”, shows a possible influence on the Oka River insufficiently treated wastewater. Defined way to solve problems in advanced treatment of biologically treated wastewater. Keywords: waste water, biological wastewater treatment, disinfection, dechlorination, biological ponds, MPD, maximum permissible discharge. Bannikov A.G., Rustamov A..K, Vakulin A.A. The Nature Conservancy. – Moscow: Agropromizdat, 1985. – 287 p.
Zhmur N.S. Process Control and Monitoring wastewater treatment plants to the aeration tank. – Moscow: ​​Ray, 1997. – 172 p.
Solovjev L.P., Bulkin V.V., Sharapov R.V. 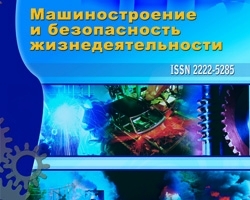 The existence of man in the technosphere // Engineering industry and life safety, 2012, № 1 (11) – P.31-39.